When It Rained Colours At DoMS…!!! The festival of color’s was celebrated by students of DoMS, NIT-T as a part of the activities of SEC club which encourage sociocultural activities among DoMS students. This was the second major festival after ‘Christmas’ being celebrated by DoMS students and is in addition to numerous occasions organized by fellow NIT-T’ians. Red, green, yello w and the innumerable number of combinations we made from the available colours made our world colourful on Friday, 6th March’15. Nirmal, Kani, Harini and others who were experiencing ‘Holi’ for the first time, thoroughly enjoyed the little surprise. For others, it was a way not to miss all the celebrations and fun back home. Few missed it as they had an interview scheduled, others couldn’t be with us as they had to leave for home. Barring a few, almost everyone enjoyed ‘Holi’. Each and everyone present at Silver Jubilee Building, where the festival was celebrated, was set in the mood of being the first to colour someone’s face. What better than getting a fresh face to splash colour on, on this festival! Even in all the mood of fun and excitement,the DoMSians did not forget that they are a part of “Clean India”. Therefore, the celebrations and skylarking was followed by cleaning the premises.The SEC club not only organized a fun-filled festival celebration but also did not forget that we were responsible towards the department and country for cleanliness and discipline. Amidst all the festivities, music, fun & frolic, and of course the various coloured faces this day is one to be remembered forever for all of us. 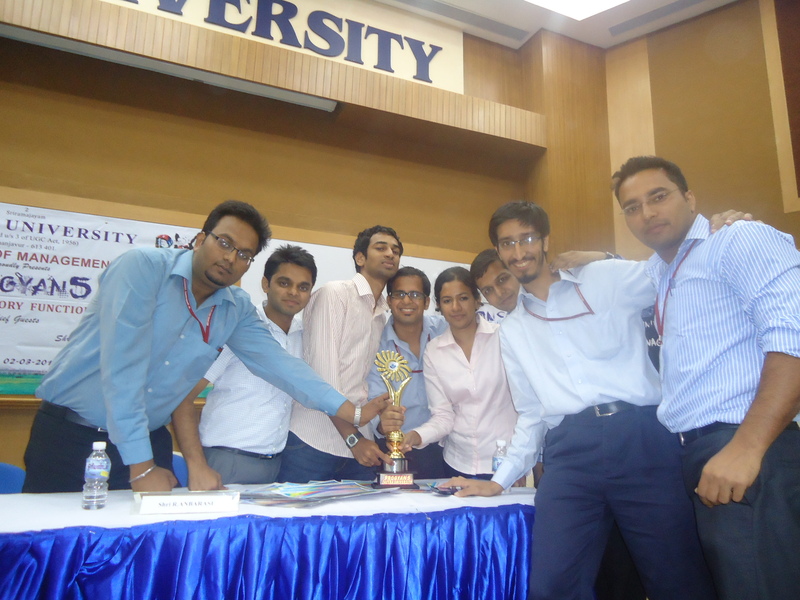 The students of DoMS organized an alumni meet in Bengaluru on 27th July. 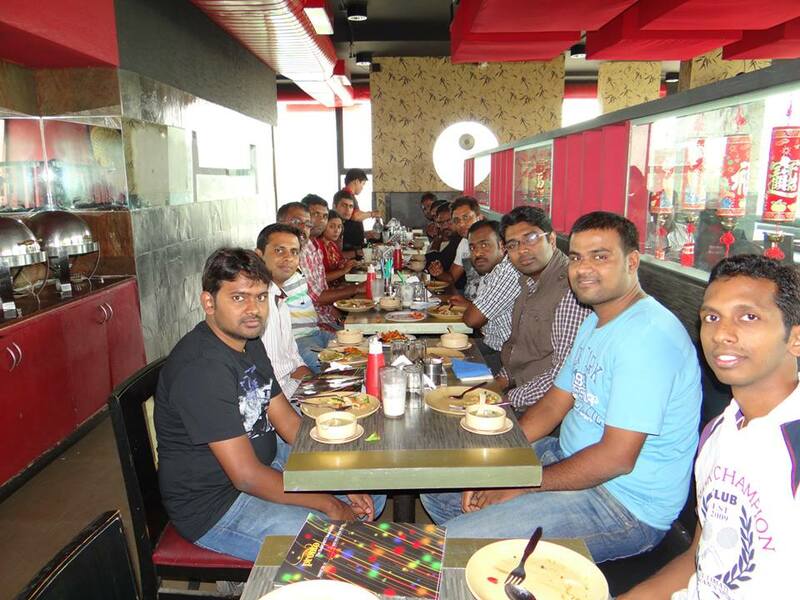 The get together was arranged at Beijing Bites, Whitefield Bengaluru. The alumni committee and training and placement committee put in a lot of efforts to make this meet a very successful event. Some of the alumni who attended the meet were Vikranth from Thomas Reuters, Mr, Pannirban from Phillips, Jai Kansanwal from ITC, Arvind Sivakumar form TCS. The informal interaction started by ex-domsians sharing their experiences at the college and what all mischievous things they used to do during the classes. They also suggested us to take maximum benefits out of the facilities and faculties of the college. They explained us their past and present profiles they have worked on and what we can look forward to in the respective industries . Then they inquired about the current placement scenario of our department. They gave tips how to tackle interviews and how to approach companies while inviting them for recruitment. They advised us to enjoy the college as well as hostel life to the maximum as this would be the end to the student life for most of us. They also advised us regarding what industry expects from us as soon as we get out of college. The department is planning to organize a similar meet in Chennai in a few days. Hoping a lot of alumni to attend the meet to make it a memorable event.